Angie in T.O. : AN EPIC BIRDING DAY! There are 4 Short-eared Owls in this photo, can you find them all? It has been a long, cold winter, but spring arrives tomorrow, finally! It won't be long until we are seeing green grass and enjoying warmer temperatures. Some of the first migratory birds are starting to return to set up territories and they will soon be followed by the beautiful warblers and nesting season will start again. We didn't do as much birding this past winter, it was just too cold. We went out on Saturday and were joined by our friend, Lev. I really had no idea what to expect in sightings, and honestly, it was just nice to be out. We ended up having a pretty grand day, or "epic", as Lev called it later. 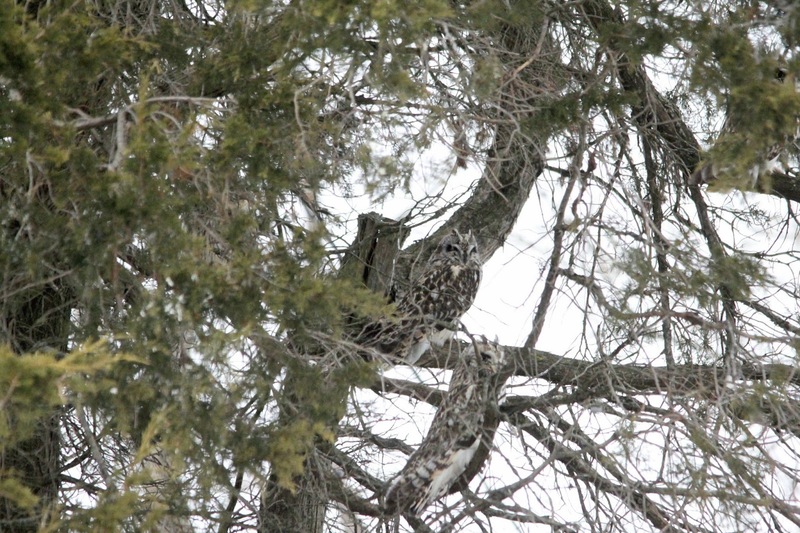 We were treated to 3 different owl species; Short-eared, Great-Horned and Screech. Winter and summer birds crossed each other on this trip for us, much to my delight. I saw my first returning Red-winged Blackbirds, Eastern Bluebirds and Turkey Vultures. 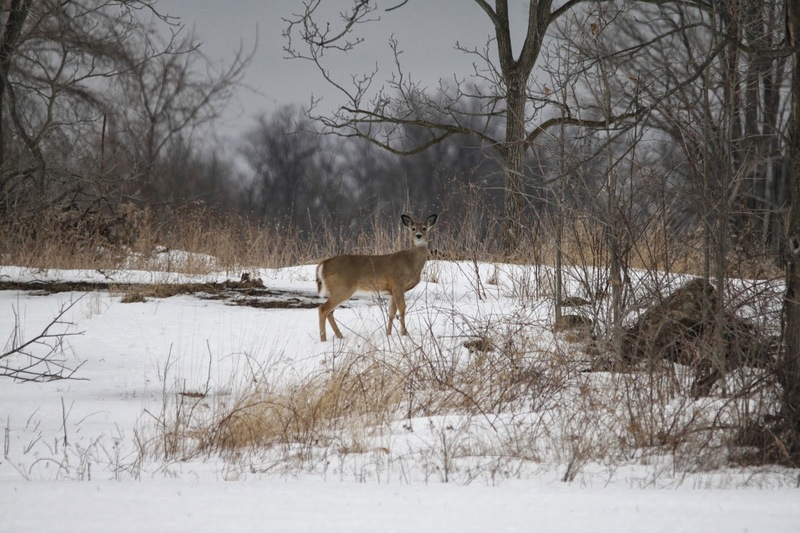 I had my second look at Snow Buntings and first sightings of Horned Larks this winter. 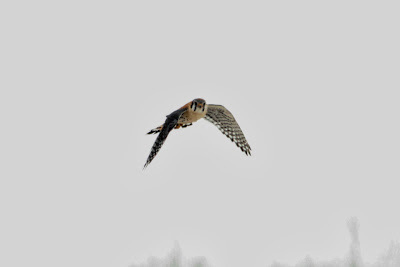 We also had some Rough-legged Hawks and a Kestrel put on some amazing flying shows for us. Please enjoy a few photos of our day. 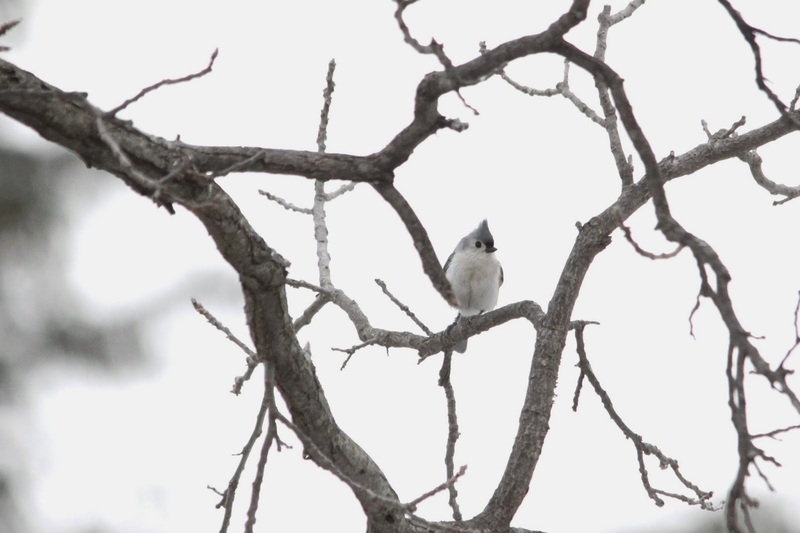 A Tufted Titmouse at Ruthven Historical Park. 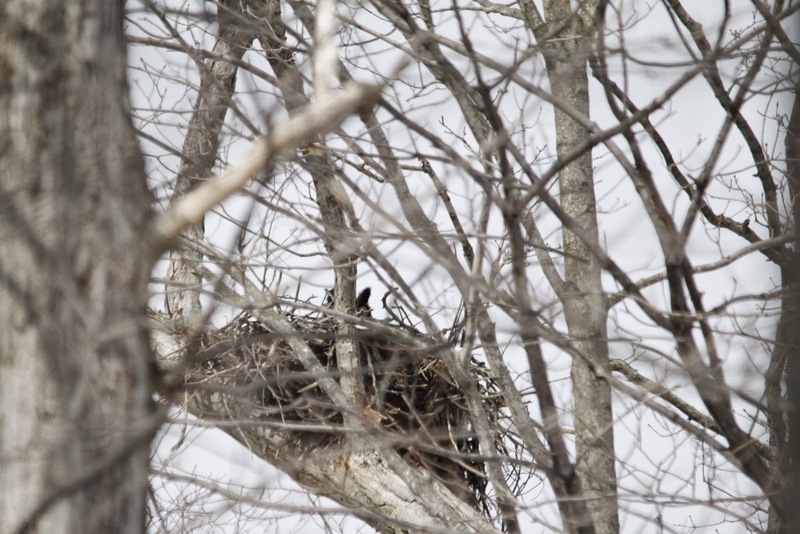 That's a female Great-horned Owl sitting on eggs in their nest. 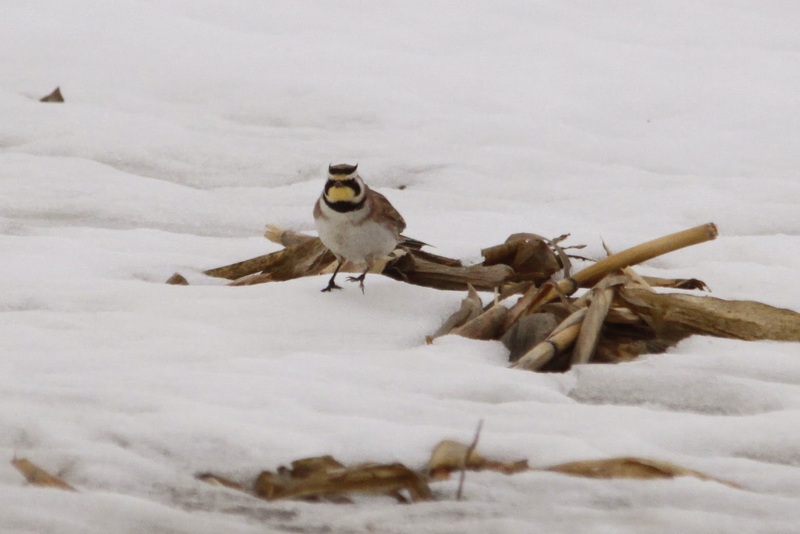 I was thrilled to see my first Horned Larks this winter! We saw many. I have to say a few words about this Kestrel. Sometimes a bird that you've seen many times can take your breathe away, and this one did. We watched him hoover for what seemed like forever, and then he swooped down and got a big vole right in front of us. The bitter wind had us watching this amazing show from the warmth of the truck. I'd never seen a Kestrel hoover before or catch something, it was awesome to witness! 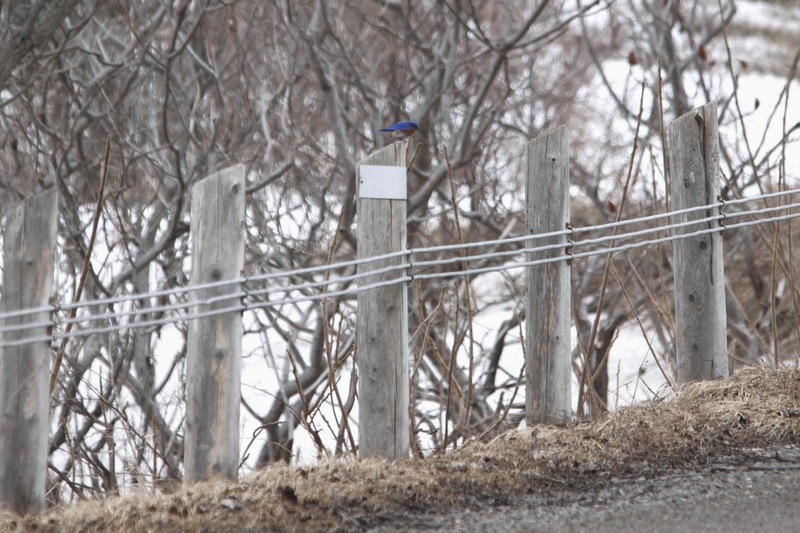 First Eastern Bluebird sighting of 2014! Always nice to see some fur bearing wildlife on these birding outings. We ended this great day just the way I like, by having a grand meal! Lev and I feasted on a variety of oysters and seafood chowder at Jake's Grill & Oyster House. Rob tried his first, and probably last oyster! LOL!! I love memorable days like this and hope to have a few this spring. I can only spot 3 owls unless there's two in the foreground clumped together. I see one in the upper right. 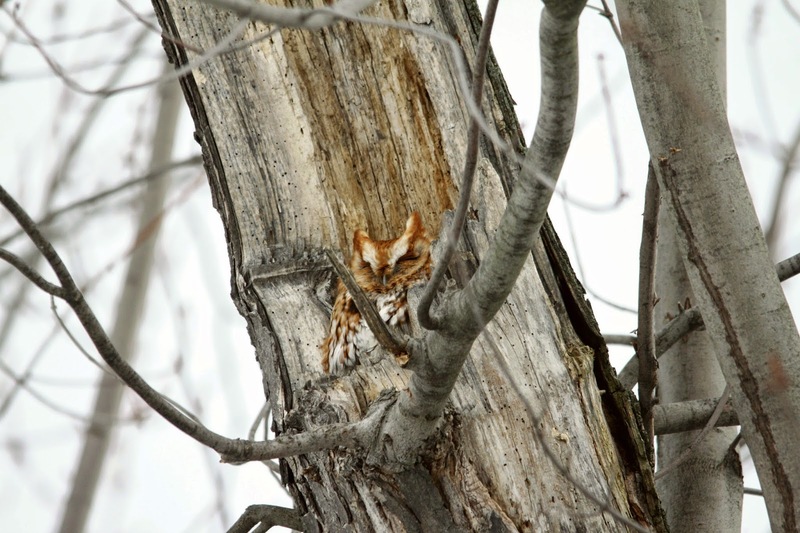 3 different species of owls in one day is fantastic!